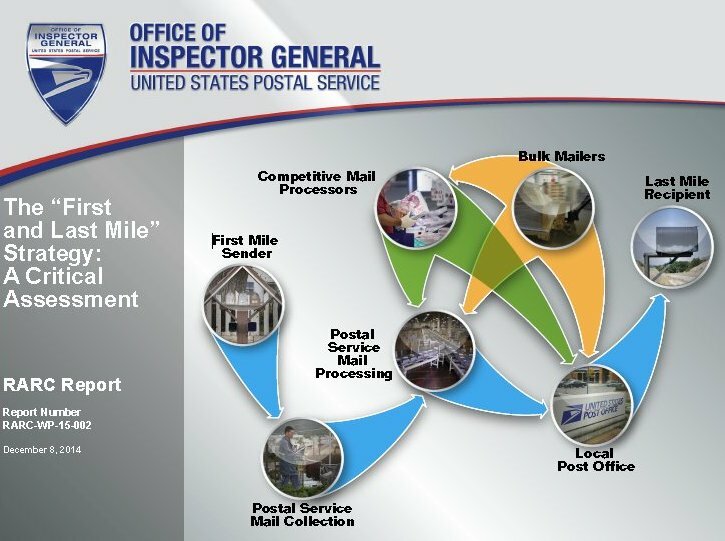 01/08/2015 – A little-noticed OIG report bolsters the union’s position that mail processing plants are crucial to Postal Service operations and should not be privatized. Many Americans view the Postal Service as having only two components: those who deliver mail and those who assist you at the window, the Dec. 8 report notes. Some have argued that focusing on these two sectors – and allowing private companies to take over mail sortation and transportation – would improve efficiency and cut costs. The OIG report, “The First and Last Mile Strategy: A Critical Assessment,” demonstrates that these claims are false. 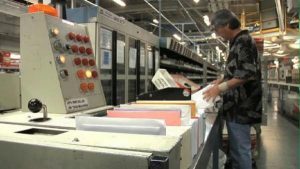 “The Postal Service and the mailing public would suffer if the Postal Service ceased its mail processing operations,” the study finds. “The mail processing activities of the Postal Service play a vital role in ensuring the productive and allocative efficiency of the postal sector, even in the absence of economies of scale in mail processing,” wrote John Panzar, the study’s author, who is a professor of economics at the University of Auckland. Panzar developed a theoretical model that shows that if the Postal Service completely eliminates the mail processing of letters and flats, there would be an overall loss in efficiency. “The likely result of the Postal Service ending its mail processing activities would be lower profits for the Postal Service and higher prices for the mailing public. Competitive mail processors are the only likely beneficiaries,” Panzar concluded. ”The OIG report proves what the APWU has been saying: Mail processing and transportation are essential to a vibrant, productive Postal Service,” said APWU President Mark Dimondstein. “This is another powerful argument against closing or consolidating 82 mail processing facilities and subcontracting transportation,” he said. via OIG: Postal Service, Customers Would Suffer if Mail Processing Were Eliminated | APWU. This entry was posted in Downsizing USPS and tagged Dimondstein, John Panzar, mail processing, mail sortation, middle mile, OIG report, private companies, privatization, The First and Last Mile Strategy, transportation. Bookmark the permalink. Well if this four walls nonsense is any indication the OIG got this one right. Apparently four walls is turning out to mean any which way you turn, you run into one.